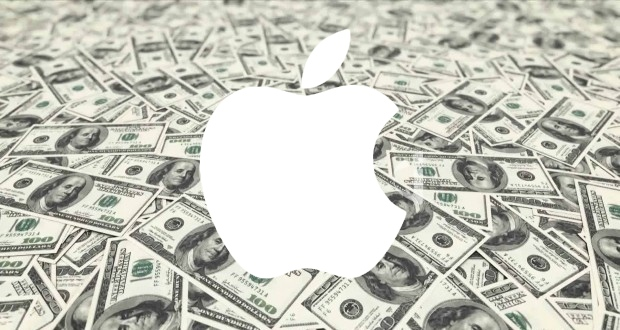 The government of Australia announced on Monday that it plans to investigate alleged tax avoidance in its country by a total of 30 multinational corporations, including the most valuable company on the planet: Apple. The so-called "crackdown" was announced by the government in a press conference held in Sydney on Monday, as reported by Reuters. Australia's treasurer, Joe Hockey, told the press that major companies are "diverting profits earned in Australia away" from the country to avoid paying local taxes. And though the government declined to name specific companies in its statement on Monday, it was already revealed in April that inquiries were made into Apple, Google, and Microsoft. Those companies, and apparently some 27 others, are officially "under review" for their tax practices. In addition, the Australian government is looking to pass new laws that will aim to close tax loopholes used by corporations, and could fine those companies up to 100 percent. If the laws were to pass parliament, they would go into effect on Jan. 1, 2016. Australia joins the European Union in targeting major corporations for their tax policies, though the efforts have drawn scrutiny for largely targeting American corporations. And though U.S. companies have paid an outsized amount in fines when compared to their European counterparts, the E.U. has denied specifically targeting American corporations. As for the companies accused of not paying their fair share of taxes, they— including Apple —have adamantly maintained that they follow all international tax laws. Those tax strategies usually involve the use of Ireland, along with Luxembourg and the Netherlands, as those countries have offered sweetheart tax arrangements to large companies in exchange for setting up operations there. The use of tax shelters in Ireland and elsewhere are the main crux of investigations by Australia and the E.U. One analysis issued last week said that if the E.U. were to impose the worst-possible scenario, it could reduce Apple's annual earnings by 10 percent.